To the best of his knowledge, he sees the ailing president every day? So our ambassador is not even sure if, indeed, he sees the president every day, but he is certain nonetheless that the president is recovering. Huh? This is a supreme instantiation of a case where thought, language, and materiality have parted company. So, the idiom is deployed principally to express thought-processes that reside in the province of incertitude, of inexactitude. 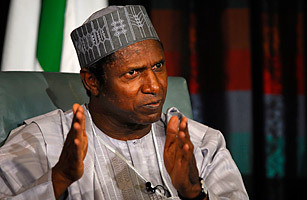 If, for instance, someone were to ask me (and somebody did indeed ask me a couple of days ago) if Yar’adua was dead, I would say “well, to the best of my knowledge he is alive.” Here, the phrase “to the best of my knowledge” admits of both the possibility that he could be alive or dead. In other words, it betrays the uncertainty and tentativeness of the information I have about the query. Now, for Ambassador Aminchi to use the idiom “to the best of my knowledge” (which admits of uncertainty) in the same sentence as “I see him every day and he is recovering” (which connotes cocksure certitude) evokes an eerily bizarre disjunction between thought, speech, and reality, one that is impossible to conceive of even with the wildest stretch of fantasy. This is as much a grammatical slip as it is a logical labyrinth. One perfectly legitimate interpretive possibility from the ambassador’s statement is that he actually sees a figure in Saudi Arabia in the likeness of President Yar’adua that is convalescing from a sickness, but is uncertain if this is merely the apparition of a spooky specter masquerading as Yar’adua or if it’s Yar’adua himself. 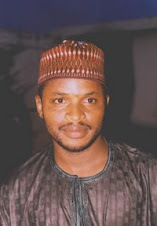 In spite of this dubiety, however, he is positive that the real Yar’adua is recuperating. This is obviously not what the ambassador wants to be understood as saying. So, one or two of three things are happening here. The first is that the ambassador is being barefacedly mendacious in order to conceal the graveness of the condition of Yar’adua’s health. And this won’t be out of character. After all, English diplomat and writer Henry Wotton once famously defined an ambassador as an "honest man sent to lie abroad for the good of his country." Only that, in this case, our ambassador is lying abroad for the bad of his country. The second possibility is that the ambassador is simply clueless about the meaning of the idiom. And a third possibility is that he has been misquoted or mistranslated by the reporter who wrote the story. Now, this isn’t an idle, nitpicking censure of an ambassador’s innocent slip by a snooty, self-appointed grammar police. This issue is not only about the health of Yar’adua; it is also about the health of our country. Since Yar’adua took critically ill, the nation has been in even much graver illness. In somber moments such as this, we cannot afford the luxury of tolerating intentionally deceitful and irresponsible political language from public officials. Do you see any parallels here between Ambassador Aminchi’s illogical grammar—and indeed that of most Nigerian public officials—and the public officials of Orwell’s days? Interestingly, the problem endures to this day even in Britain. On Nov. 3, the Guardian of London reported that a British parliamentary committee excoriated “politicians and civil servants for their poor command of the English language” epitomized in the “misleading and vague official language” of prominent politicians. Maybe the committee chairman’s sentiments are a bit of a rhetorical stretch, but someone should tell Ambassador Aminchi that he cannot simultaneously be unsure that he sees the ailing president and yet be certain that the president is recovering. That’s impossible grammatical logic. And that can only sprout from a mind that is wracked by psychic disarray. When I first Aminchi's statement, its lack of logic immediately jumped out. I didn't know you wrote about it until I discovered your list at the Village Square. So I'm reading all that I missed. BTW, your pieces are funnier than the trash some humour writers write. Thank you, Ibraheem. I am glad you find my pieces interesting. Take care and visit here often. How is Malaysia?